Viamark Advertising wishes you a happy and successful 2015! As we look forward to continuing the growth of our business in 2015, we thought it would be fun to share some of our successes and accomplishments from 2014. We started off the year with a bang! In January we welcomed media veteran Katie Loizeaux as our newest franchise owner as she opened her agency in Wilmington, DE. Katie began her ad career as an account executive for WSPK in Poughkeepsie, NY. She followed her then GM to 99.5 WJBR in Wilmington. In 2007, Katie left WJBR to gain experience in a bigger market at Philadelphia’s KYW Newsradio before returning to WJBR. Finally, she followed through on her dream of owning her own Ad Agency and decided that becoming part of Viamark was the fastest way to achieve her goals. In February we were recognized by Franchise Business Review as a Top 50 Franchise for Franchisee Satisfaction. Viamark ranked in the Top 50 for Franchises with under 50 locations and fifth overall for the Advertising & Sales category. We ended the month by attending the International Franchise Association Annual Conference in New Orleans, LA where Glenn Anderson, Vice President and Director of Franchising accepted the award. In March we completed our Annual Viamark Franchise Conference (a.k.a. “Bootcamp”). This was an intense 2-days worth of training sessions for our franchisees that focused on digital and non-traditional advertising presented by some of the ad industry’s leaders in digital and outdoor advertising. During this event, our franchisees shared ideas on how to grow their business and ways to collaborate for the benefit of all. Viamark announced in April that media and sales pro Doug Kifer will head up our newest franchise in Charleston, SC. Doug began his marketing career for an outdoor advertising company in the Philadelphia, PA market. 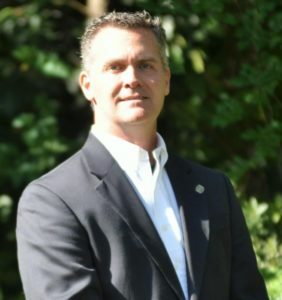 After moving back to the Charleston area Doug began as a Sales Executive with the Post and Courier. He became a Sales Manager for P&C handling all the magazines and supplements. Like Katie in Delaware, Doug realized his dream of being his own boss in the advertising world and jumped at the opportunity to open a Viamark office in Charleston. 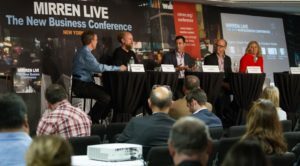 Glenn Anderson of Viamark Advertising was a panelist at theMirren Live, 2014 New Business Conference in New York City in May. The Conference was sold out and was filled with 2 days of in-depth sessions to help agencies identify specific action items that they can apply to improve new business growth. Viamark was a part of the Agency Growth Panel; focusing on industry leaders who have developed unique new agency models. In July Viamark made the Franchise Business Review’s list for Best Opportunities for less than $100K. The top 100 ranking is based on a survey of nearly 10,000 franchisees, representing more than 135 brands and 29,859 franchise units/locations across North America. 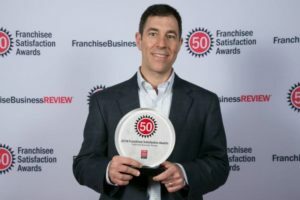 Franchise Business Review compiles all the data and then selects the list of the best low-cost franchises based on franchisee satisfaction. Viamark ranked #75 of the best of the best in low-cost franchises. In October we added two new franchise owners. Russ Ramsey,who began his advertising career in 1990 as an account executive in the Norfolk market, owns Viamark Advertising Cary, NC. Russ has also worked in the Houston and Raleigh markets, as well as with CBS Radio in Washington, DC. He has an extensive media background that includes general and national sales management, along with over two decades of partnering with local and regional businesses to accelerate brand growth through traditional and digital platforms. 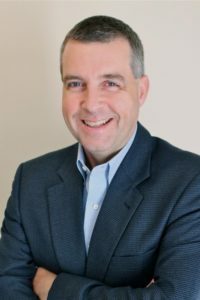 Keith Corder owner of Viamark Advertising Greenville, NC has worked in business operations, sales and marketing for over 25 years for various companies, and has owned and operated a local ad agency for the past two years. 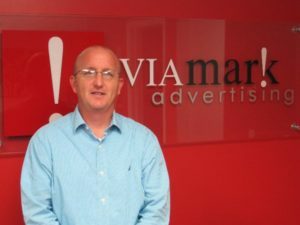 Keith said his primary reason for joining Viamark was the creative support and advertising capabilities that the franchise structure provided so he could grow his existing ad agency. 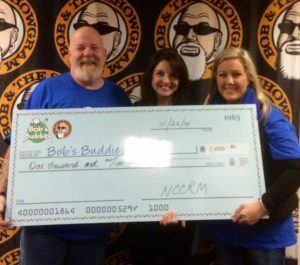 On November 26th one of our client’s, NCCRM, was a sponsor of Bob’s Buddies on G105 in Raleigh, NC. 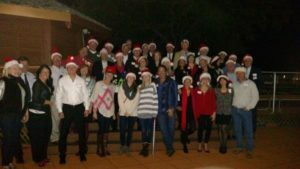 Viamark decided to surprise them and matched their donation to help support the Pediatric Brain Tumor Foundation. 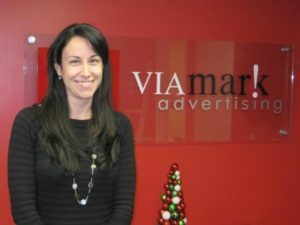 Rounding out this fabulous year Viamark Advertising was featured in the December 1st edition of Inside Radio. 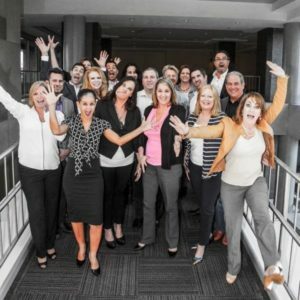 “People with a radio background have been very successful starting their own local ad agency because they tend to work hard and be creative” said Glenn Anderson, VP and Director of Franchising.